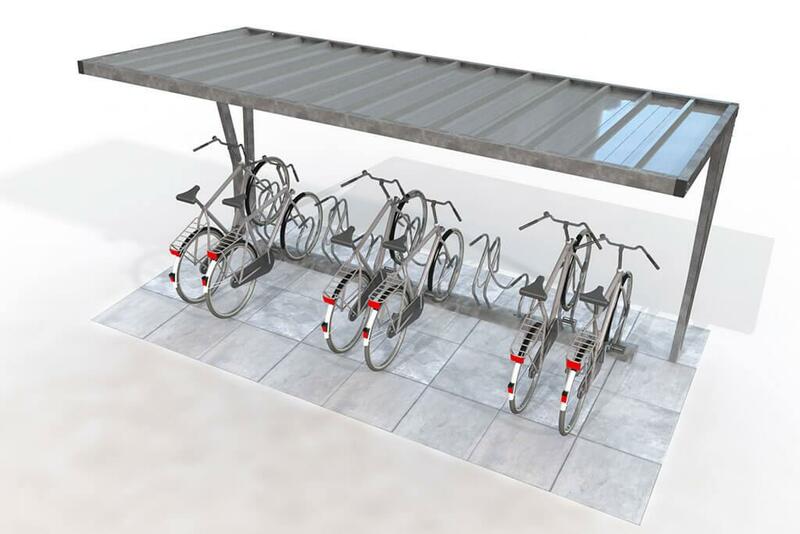 The Wave cycle shelter has been designed to be as a space-efficient as possible when used in conjunction with our cycle racks. 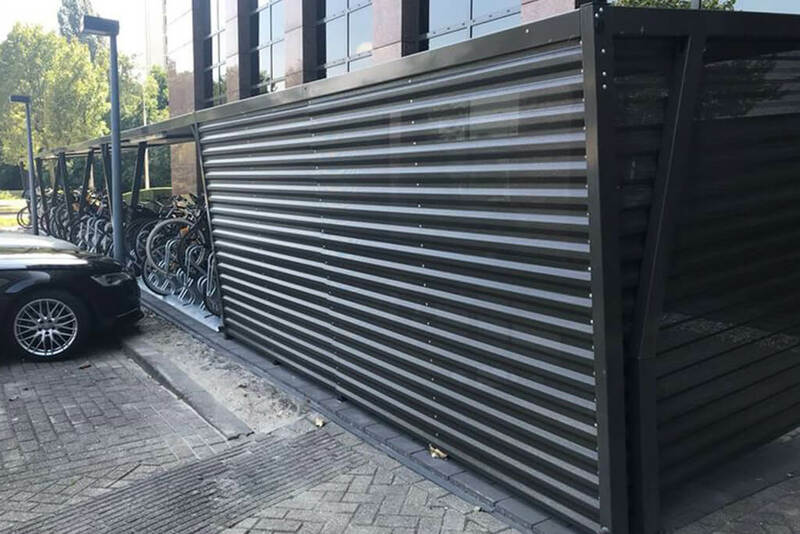 For two-tier cycle parking please see the WaveUp. 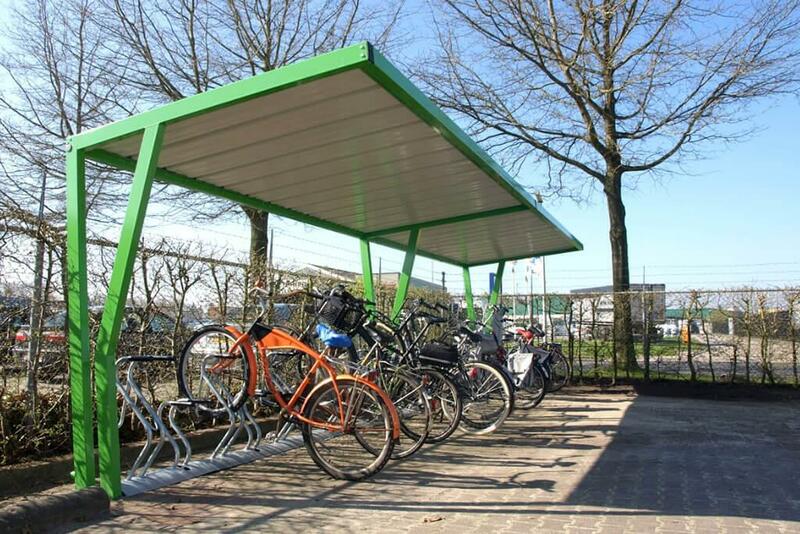 The Turvec Wave cycle shelter can be installed with below and above ground fixings. Below ground fixing achieves a cleaner and more secure finish, above ground fixing is a quicker and more cost-effective method of installation. 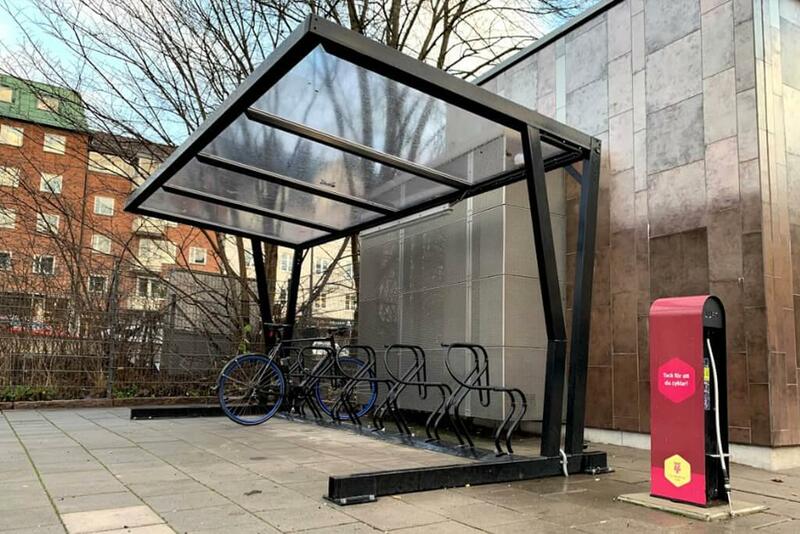 We can supply the Wave bike shelter with pre-cast concrete footings to speed up the on site process and complete groundworks and installation in a single visit. 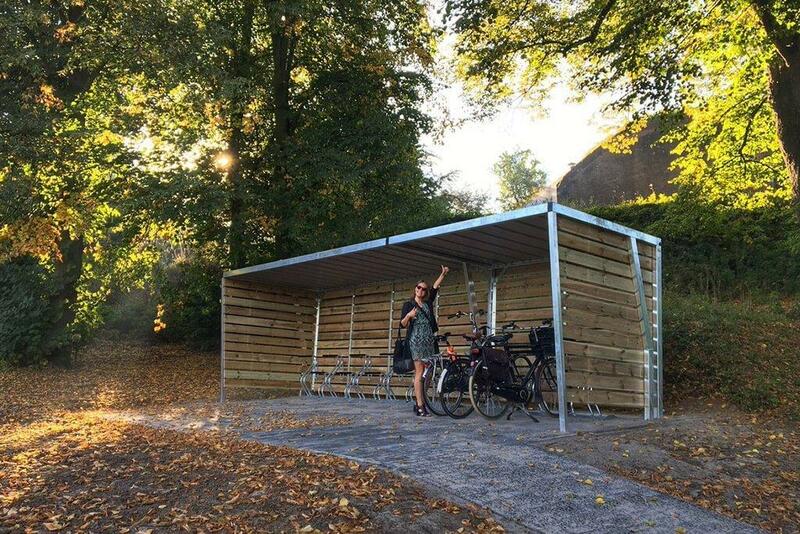 The Wave bike shelter is designed to work with our space-saving cycle racks, the shelter can house 10 bikes as standard, and the WaveUp can accommodate 22 bikes in a double-tier layout. 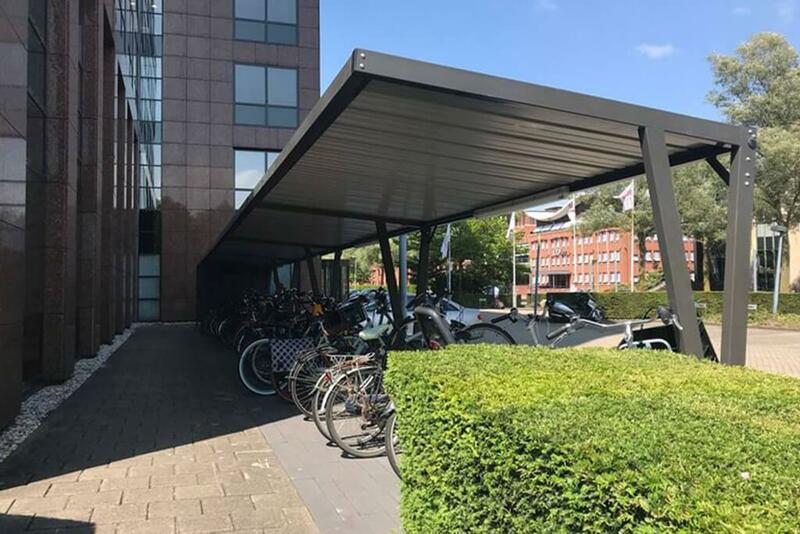 We offer powder coated steel roof sheets for the Wave shelter, Turvec recommend this over polycarbonate panels as it is a more durable and aesthetically pleasing a few years after installation. 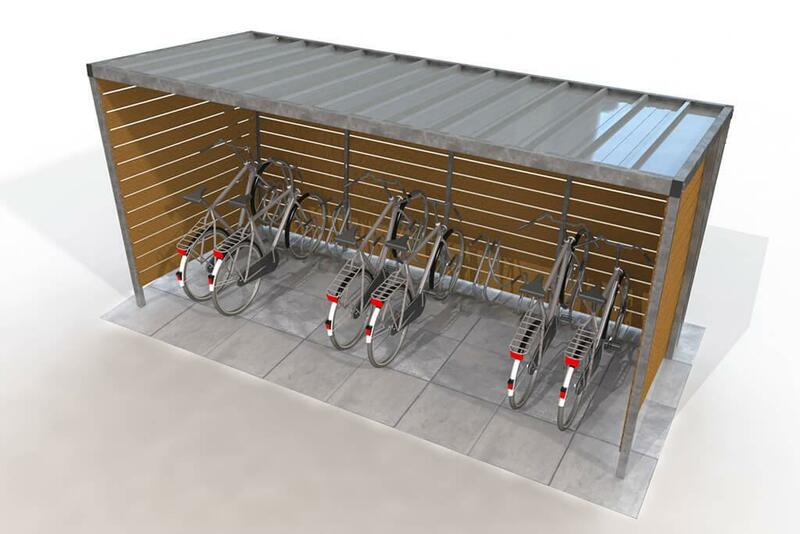 Lighting, CCTV and bicycle detection systems are optional extras that can be incorporated onto the Wave cycle store.